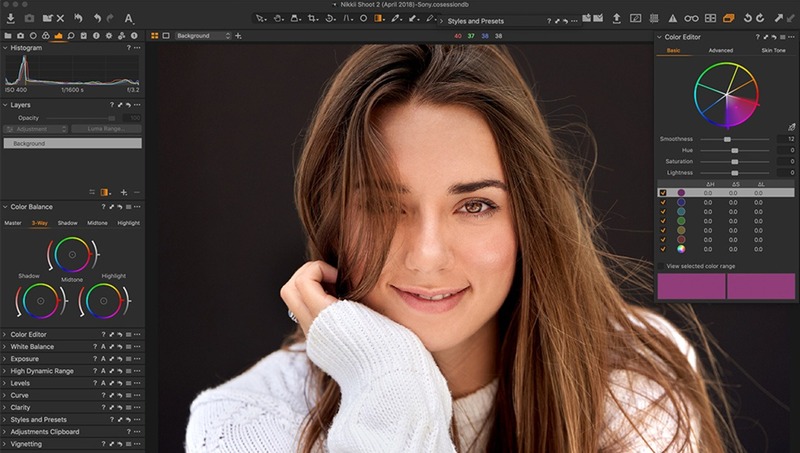 Although Capture one is known for being the software of choice for high-end professional photographers, it’s designed to help every level of photographer create professional-caliber images. With a feature set that’s geared for speed, accuracy, and a level of customizability fit for the most discerning professionals (read: Victoria's Secret, the Royal Wedding, etc. ), it is also designed for ease of use and fun. If you are new to Capture One, here are the top 10 things you should know. It is Capture One’s ability to provide a great experience and develop every image to its best possible version —regardless of the camera used — that makes it so special. In fact, Capture One can bring out the best of old camera files and make them look different and better than you’ve seen them before, and unlike other popular software that can be really taxing on a system, Capture One will run on less. When it comes to using image editing software, it’s common to find that users are about as adventurous as a hermit. The tendency to avoid experimentation is often a result of thinking about how powerful the applications actually are and being intimidated by this, assuming the learning curve is too long and that using it is too difficult. As mentioned above, Capture One puts a focus on user experience and design, and you can be familiar and up and running in 10 minutes. Of course, there are depths of Capture One that you can learn after, but you can go from download to import and developing in minutes. Check out this video for a quick overview of the interface. For those who use Lightroom or have in the past, it warrants pointing out that it’s actually easy to move Lightroom catalogs over to Capture One, retaining exposure values, ratings, and so on. 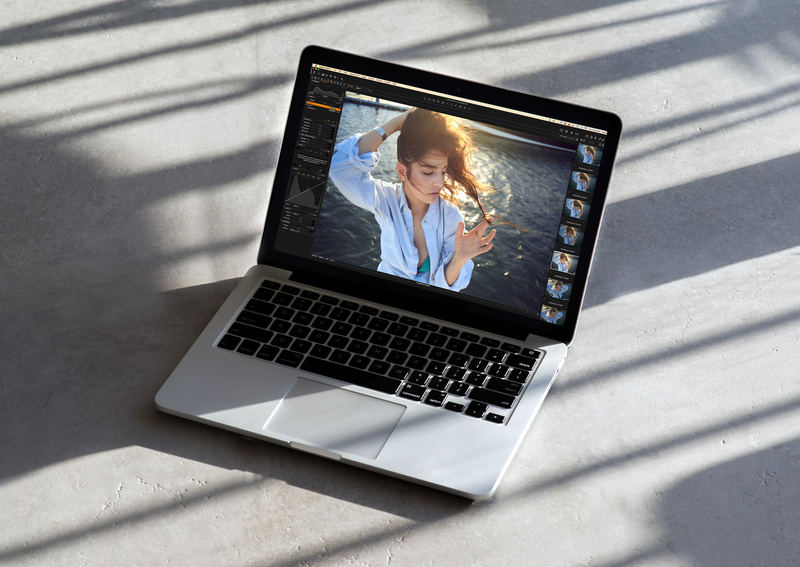 Capture One also works beautifully with Photoshop, allowing for full round-trip file management. That means you can edit a file in Capture One, open it as a PSD in Photoshop for anything outside the scope of Capture One, like Liquify, and then send that file back to Capture One (layers intact) to edit further if you choose. Capture One is, however, so powerful, that you may find your time in Photoshop cut drastically. One of the biggest challenges to producing a beautiful portrait is managing skin tones, and Capture One has a dedicated Skin Tone tool that makes easy work of perfecting them. Combined with Capture One’s ability to use masks and layers, you can correct and alter skin appearance so you have beautiful photos of people. 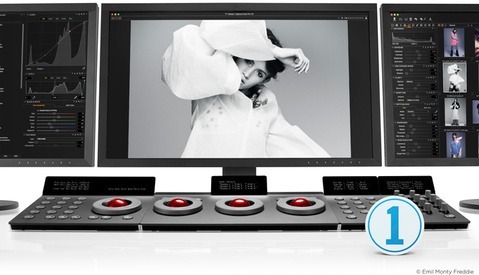 There’s good reason Capture One is being used on sets of those like Russel James shooting Victoria’s Secret, or Peter Lindbergh shooting the Pirelli Calendar, but the tethered-capture workflow in Capture One offers so many benefits for photographers at all levels, whether you’re shooting a cover of Vogue or a senior portrait. The process is fast and simple and provides advantages in organization, review, adjustments, and even live view or remote camera control. There’s also an accompanying mobile app for iPhone or iPad that allows for wireless review, rating, and wireless shooting. It’s called Capture Pilot, and it’s free, unless you want wireless camera control. Capture One comes with a number of built-in high-quality Styles. Styles are the combined settings from multiple tools that are applied to images in a single step, unlike Presets, which are the saved settings from individual tools. Styles can be used as an endpoint or a starting point, with many able to be applied to layers for precise control of the intensity. And in case you were wondering, your favorite presets, like those from Mastin Labs, are available from Capture One as Styles. 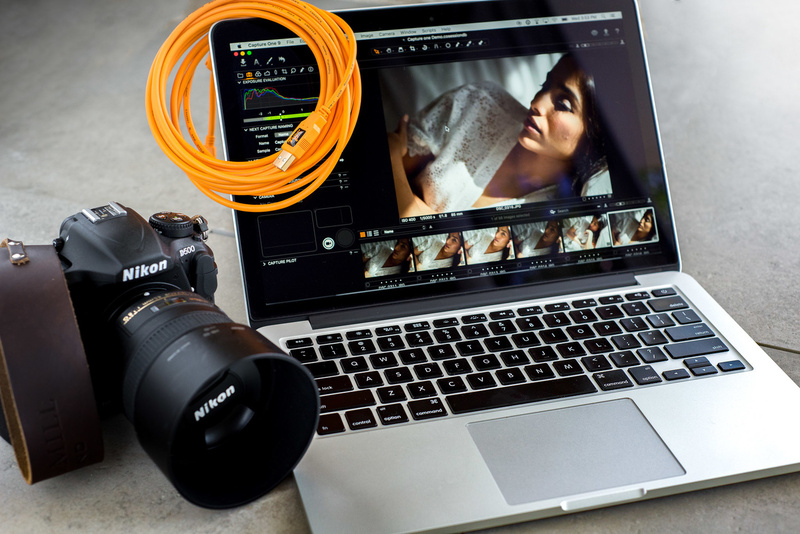 Capture One and Fujifilm have collaborated to allow full Fujifilm raw file and tethered support. Sixteen film simulations are available in camera, ranging from color stocks like Provia and Velvia to black and white film like Acros, and the collaboration between Capture One and Fujifilm means photographers using the renowned X-Series and GFX-series cameras will be able to edit photos with Fujifilm Film Simulations. These in-camera settings have been faithfully reproduced in Capture One to provide an identical experience when working with the files, resulting in images that appear the same as if the Film Simulation picture profiles were applied in-camera. 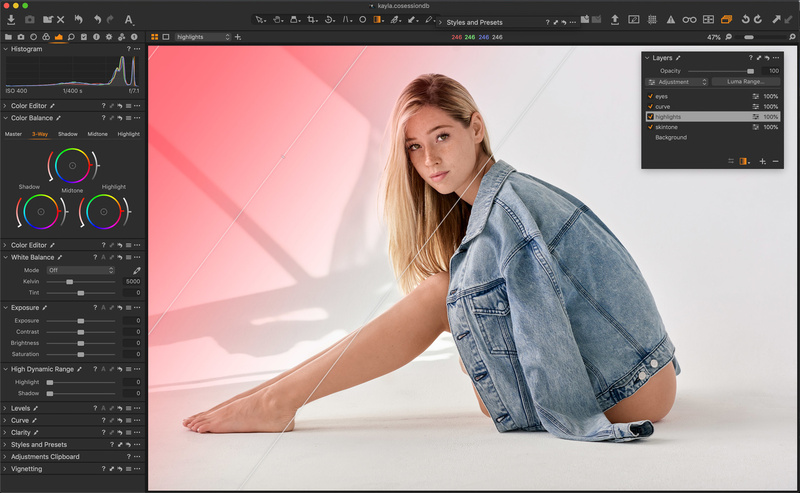 From high-quality healing and cloning to fine masking, layer stacking, and layer opacity control, Capture One has a broad range of local adjustments, powerful layers, and layer masking tools that allow you to maximize the flexibility of a raw file. That means you can get the most out of each shot and do more with a raw processor than previously possible. While you can buy any of the Capture One versions outright, you can also opt for the subscription if that suits you better. 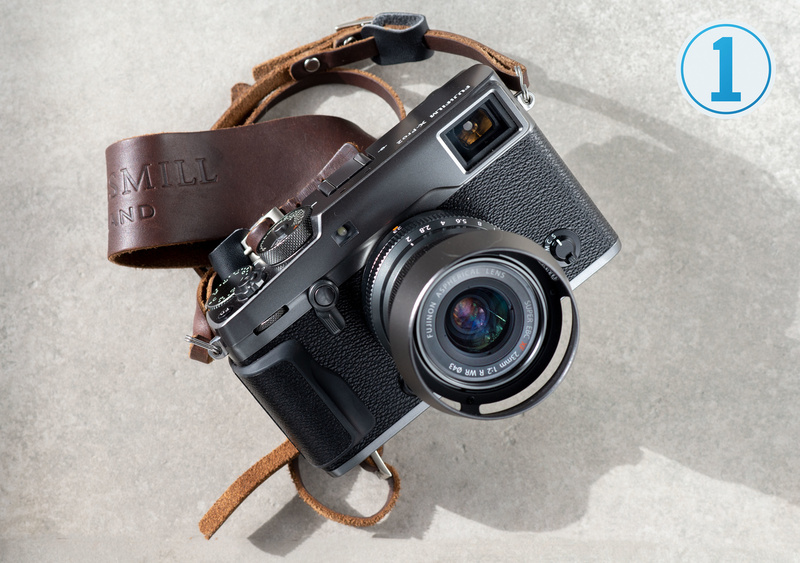 There are also brand-specific versions for Fujifilm and Sony that work only with the specified camera brand and come at a lower cost. All versions of Capture One come with a full, free 30-day trial. You can get it here. As photographers in the modern era, we often use a myriad of accessories to help us be faster, more accurate, and find a workflow that’s optimal for our individual tastes. Fortunately, all the major tools are made to work with Capture One. From Wacom tablets and Tangent panels (or Tangent App), to Loupedeck+ and Palette Gear, they’re all Capture One friendly, and with Capture One’s growing tool set and functionality, these accessories can be even more powerful. Of course, there is a lot more to Capture One than is listed here, and hopefully, this has piqued your interest. Over the next few weeks, we are going to teach you how to use Capture One from the ground up, right to the edge of the envelope, so check back often. And if you want to jump-start and learn immediately, there is already a bevy of tutorials on Capture One’s YouTube channel, and you can download Capture One here with a 30-day free trial. "You can do that? HOW?" I gave them a short explanation of tethering and along with my portfolio, that landed me the job. All my images go through C1Pro and I only use Photoshop for serious down and dirty editing. It truly is without equal in that scenario. I'm all for giving any product/software its due, and as you said there are things Photoshop can do that are totally out of the scope of pretty much anything else. That said, I mostly use Photoshop now for proper retouching and when there needs to be some 'pixel bending'. Have you tried using Capture Pilot on set, Fred? You can hand the Creative Director an iPad and they can sit anywhere and see the photos you shoot on that screen - and they can rate them etc. It's nice. I certainly have. I forgot to mention that in my post. The creative director sits in a nice comfy chair at a desk about 10 feet from the shooting position with the big monitor and a mouse. My laptop is on a stand by me and if there is another person in the dressing/prep room next door, they have one of my two iPads with Pilot on there so she can also see the images. It certainly is. It allows the client to remain as relaxed as possible during the shoot, which makes the shoot go quite smoothly. Just making sure I’m following correctly, are you using an hdmi to TV setup from your main workstation (what you’re tethered to) . Or are you using an hdmi connected to an iPad using Pilot? HDMI to a 27" monitor. iPad with Capture Pilot is through WiFi. Capture One is rock solid to shoot tethered to. It just works. It does. Hopefully we'll do a bit more of a deep dive into tethering and reveal some things even most C1 users aren't aware of. Cheers Bjarne. what's up with fstopper's constant attacks on Adobe? This sponsored aritlce + banner "I'm Falling Out of Love with Adobe and the Creative Cloud: Part 2" are little too much. i switched to C1 years ago but this sponsored SWITCH campaign is getting old. The falling out of love article was an opinion piece by that author and represent his individual feelings, not a global statement by Fstoppers. Well to be fair and balanced I hope I one day see a pinned story on the Fstoppers site called "I'm Falling Out of Love with Phase One and Capture One 26: Part 2" followed conveniently by a sponsored "The Top 10 Things You Should Know About Lightroom CC"
You will only see those posts when Adobe decides to pony up the cash to pay for them. Everyone has to make a living, I just wish Fstoppers would make it more clear what is sponsored and what isn't. Size 16 font below the byline is pretty easy to overlook... almost like that was the reason they put it there. Seriously? So read something else then if it hurts your eyes, I read the falling out of love, and found it to be garbage and full of ignorance. No Adobe isn't perfect but it's not faulty to the point the author of that article tries it out to be. Regardless if you don't find Adobe to be up to par, get something else that works for you. C1pro is one of the most important tools I have after I pressed the shutter, but I no way does it make Photoshop CC obsolete, not even close. I rely heavily on the CC suite, with Premiere, AA, and AE, etc. Hi Paul, I think you are arguing with me when what you posted is exactly my point! Thanks for echoing my sentiments. I switched to Capture one because it worked out for MY WORKFLOW. That doesn't mean Adobe is "obsolete" as it does the job for many photographers. 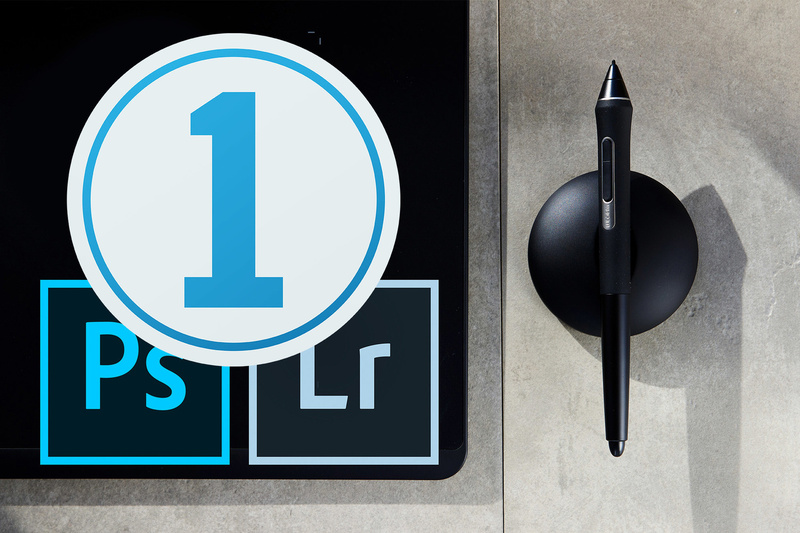 it is allready "Top 10 Things You Should Know About Lightroom CC" GOOGEL IT! please provide link yu googel about lughtroon cc article top things. Hey sherlock that's on a different website. i did. PLEASE READ MY COMMENT. if u can find ""The Top 10 Things You Should Know About Lightroom CC" ON FSTOPPERS PLEASE LET US KNOW. Great Sherlock. as i said, "Well to be fair and balanced I hope I one day see a pinned story on the Fstoppers site called "I'm Falling Out of Love with Phase One and Capture One 26: Part 2" followed conveniently by a sponsored "The Top 10 Things You Should Know About Lightroom CC" Find an accompanying article "I'm Falling Out of Love with Phase One and Capture One 26: Part 2" from that era and I will email you a participation medal. BTW Those are tips not a thinly veiled advertorial article that could be written by the PR firm at Phase One. Adobe is getting bad thats way..
capture one is not perfect either. The introduction of Radial & Linear Gradient Masks was a game changer. I guess the next feature to add is the ability to stitch a panorama. Also, I would love to use plugins like Nik Software inside CO especially if we can save the changes in a layer. I think this article is trying a little too hard, don’t you think? I own C1, and it certainly has some strong points, but user friendliness/intuitiveness is definitely not one of them as it probably has the steepest learning curves of any of the popular editors, also the “best” presets are certainly not available for C1. 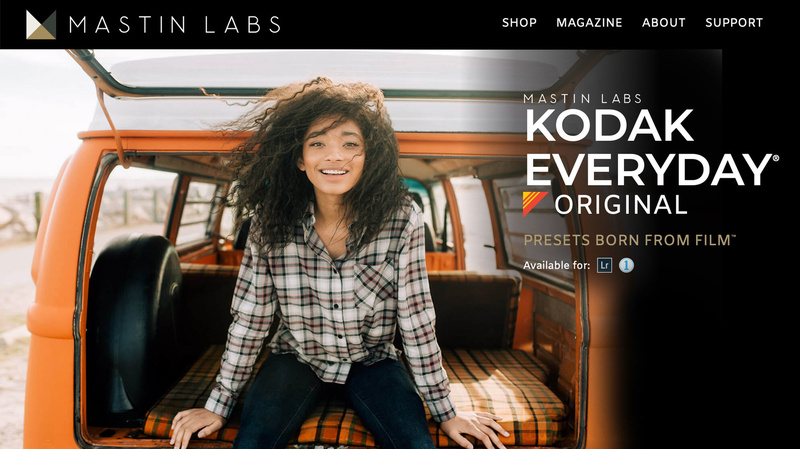 Mastin just made their Kodak Gold pack available - and that’s not even their most popular pack. Also, I don’t think you can definitely say C1 is the gold standard in raw processing. It is my opinion that images generally look better in Lightroom. C1 has some film curves that are baked into the images which I really don’t like. Again, C1 is great and all, but I think they are riding a trend of coolness by association right now, and it’s getting a little annoying seeing all the people walking around feeling a little more “evolved” than their fellow man just because they use C1. I’m also still baffled by number one, saying that you don’t need a new camera to make great images in capture one . . . I’m pretty sure that holds true for most raw processors. BUT, the rest of the point is absolutely untrue. 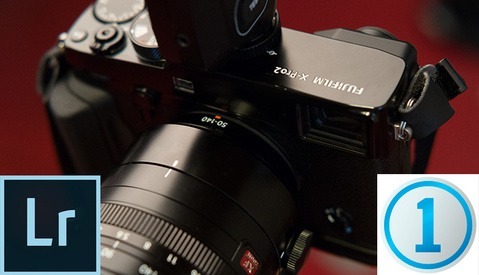 Phase One offers no support for cameras they generally consider to be competitors such as Pentax and Hasselblad, etc. They actually are being selective with what cameras they want to support - which is generally untrue of other processors. Again, this article reads as a piece of fanboy mail. There is no other software that supports native tethering to so many cameras as C1, period. As for not supporting their direct competition, well that's hardly something you can hold against them. So unlike most other software which is VERY selective in their tether/live view support C1 should be considered the gold standard.